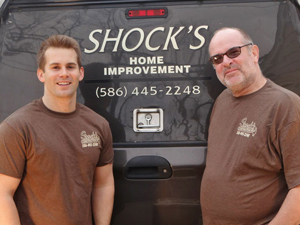 For over 40 years, our company has taken great pride in doing quality work on everything in your home. We are a father and son duo that are fast, clean, and the best! So, if your home is in need of more living space or your kitchen and bath need a miraculous makeover to become modern and more practical for your family's ever-changing lifestyle, give us a call today. Let our family remodel your family's home. "FREE ESTIMATES" and "Licensed and Insured"